Ujet is a start-up located in Luxembourg. Rather than a start-up, it’s a team of engineering and technology enthusiasts. Ujet electric scooter is a combination of advanced engineering, best electronics and smart use of composite materials. The team is dedicated to design and shape the Urban mobility of the future. The cities today are growing too fast. Everyone out there is trying to create a space for themselves. The rapid urbanization needs an urgent need for the connectivity. Ujet is addressing this problem by providing the mobility solution for city commute. So, people can move around freely and conveniently. The design language of the Ujet electric scooter is surprising and at the same time, inspiring too. In addition, while designing Ujet, the company sticks to aesthetic values with contemporary design. In today’s world, the connectivity is of the prime importance. Ujet makes the seamless connectivity possible by intuitive user experience. The simple and convenient connectivity solution always keeps you connected. 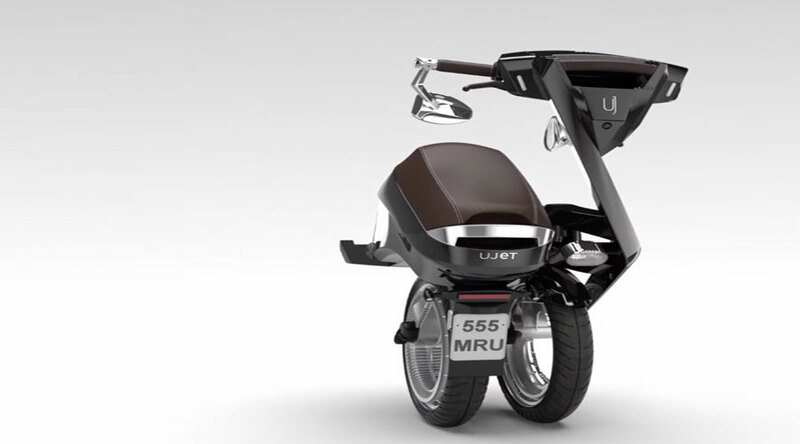 Ujet sets a benchmark in the scooter design. 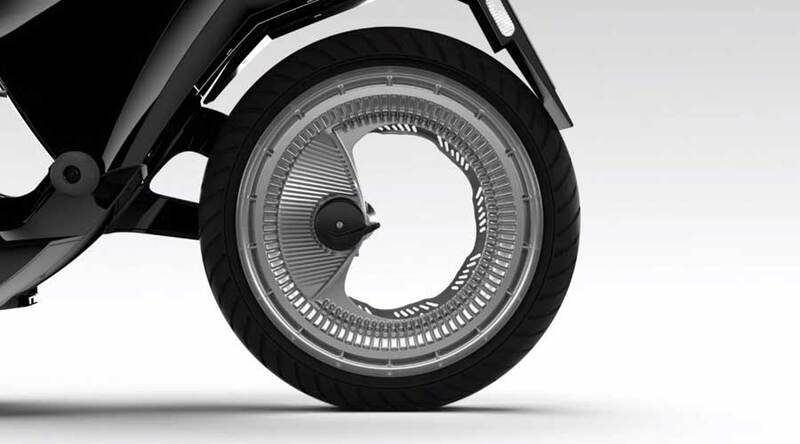 The first-of-its-kind mass-produced orbital wheel with asymmetric frame design makes it a class apart. The unique styling with attention to every detail makes it unique on its own. The scooter is available in two shapes i.e. diamond and curved. The low and high seat option is also available. Five color option gives you more freedom to suit your style. The Ujet electric scooter features two battery options. The small battery has 70 km range while the big battery has 150km range. You can charge your Ujet from the regular socket with a fast charger within two hours. The Ujet battery is removable and you can take it with you and use it as a power-bank. It is as easy as that. The total weight of the scooter is just 43 kg. Thanks to the use of composite materials, usually utilized in the aerospace industry. Ujet is foldable as well. You can take it anywhere, It simply fits anywhere; be it your office, home, car trunk, and even a yacht. The Ujet innovative suspension system and brakes make your ride safe and comfortable. World’s first nano-augmented tire provides more grip. Hence, you won’t lose traction. LED headlights with integrated sensor adapt to local light conditions. 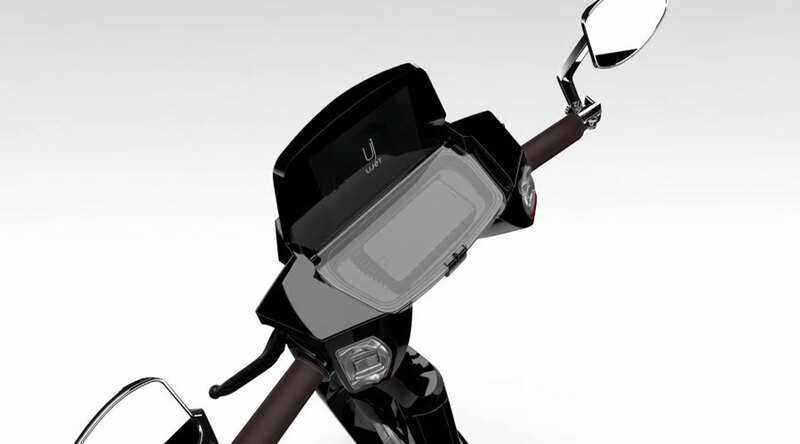 The Ujet electric scooter comes with unmatched connectivity. Thus, you can simply control your scooter thru' a Smartphone. The user interface gives access to voice control, navigation, music and HD camera. The dedicated computer seamlessly connects to your phone with the cloud. It also has 3G, GPS, WiFi and Bluetooth connectivity so you are always connected to the outside world. Furthermore, you can unlock your Ujet thru the Smartphone. In fact, it is your Smart Key. The anti-theft alarm alerts you. When someone tries to move your scooter, you can simply disable the scooter remotely. You can monitor its performance, battery levels and electricity consumption on the go via the mobile app. In addition, you can also track the scooter wherever it is. Similarly, you can locate your scooter and navigate to it through augmented reality. However, if anything goes wrong, it will alert you immediately so that you can take it to the service station. The Ujet electric scooter comes within an ultra-thin brushless motor with a temperature sensor. The 4kW motor churns out 90Nm of torque with a maximum speed of 45km/h. The maximum load capacity is 120kg. The rising-rate suspension gives you special driving experience. The battery takes 3-6 hours to charge via the onboard charger while the fast charger charges the battery within 2 hours. The scooter also comes with three driving modes i.e. ECO, NORMAL and SPORT. The boost function is available only in the Sports mode. In conclusion, Ujet electric scooter is a benchmark in electric scooter category with its extraordinary design and connectivity features. 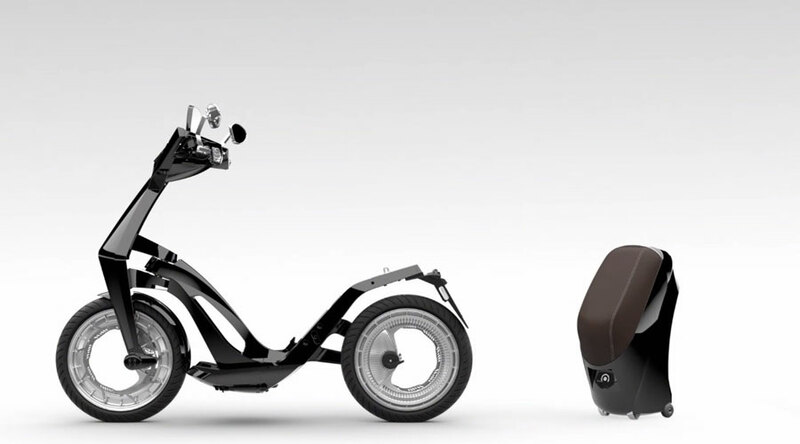 Home » Articles » Ujet electric scooter: It’s smart, electric and connected…!